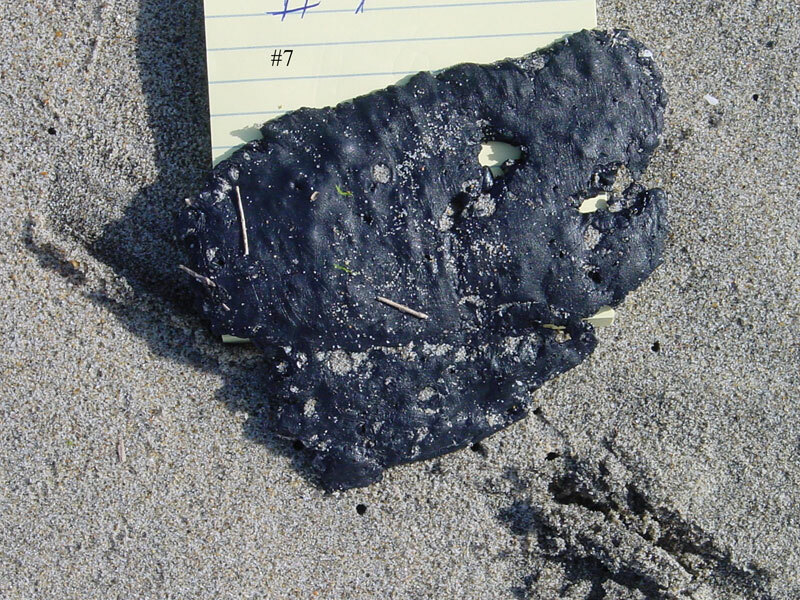 Why Are Tar Balls Showing Up in the Florida Keys? The mammoth Gulf oil spill is bad enough without oil traveling through currents to other parts of the world. But that’s exactly what has happened–the oil slick has reportedly been captured by the Loop Current, a fast ocean current that moves from the Caribbean Sea into the Gulf of Mexico before looping west and south, exiting through the Florida Straits. Earlier this week, authorities thought the worst when approximately 50 tar balls showed up on beaches in the Florida Keys. The good news–if that’s what you can call it–is that the balls aren’t from the spill. But how can the Coast Guard possibly be sure? spill, nobody knows where they did come from. Gronlund tells us that the Marine Safety Lab is working with the Coast Guard’s Sector Key West to find out. rock,” Gronlund says. It’s not a pretty sight (see the video below). And since the oil is now moving through the Loop Current, it’s certainly possible that tar balls from the spill will eventually show up in the Keys.